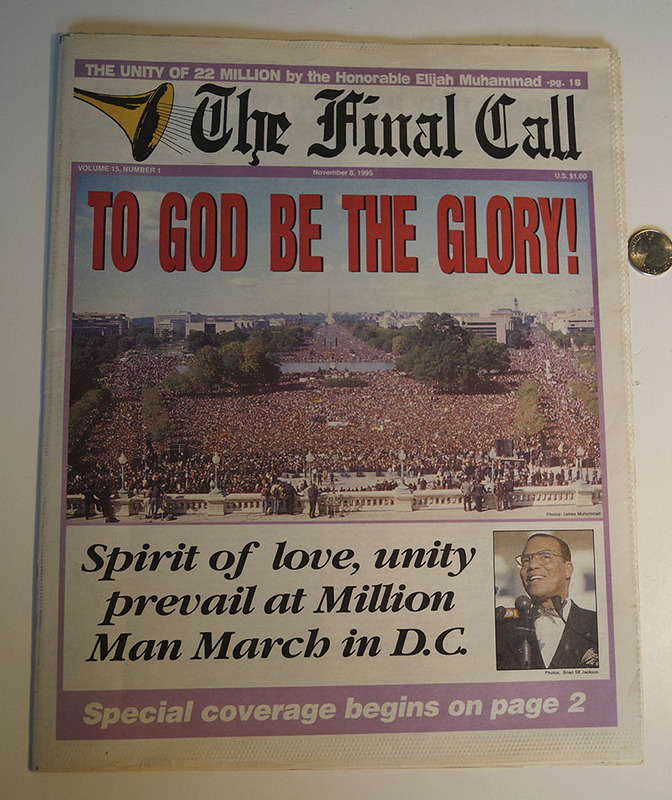 The Million Man March was a gathering en masse of African-Americans in Washington, D.C. on October 16, 1995. 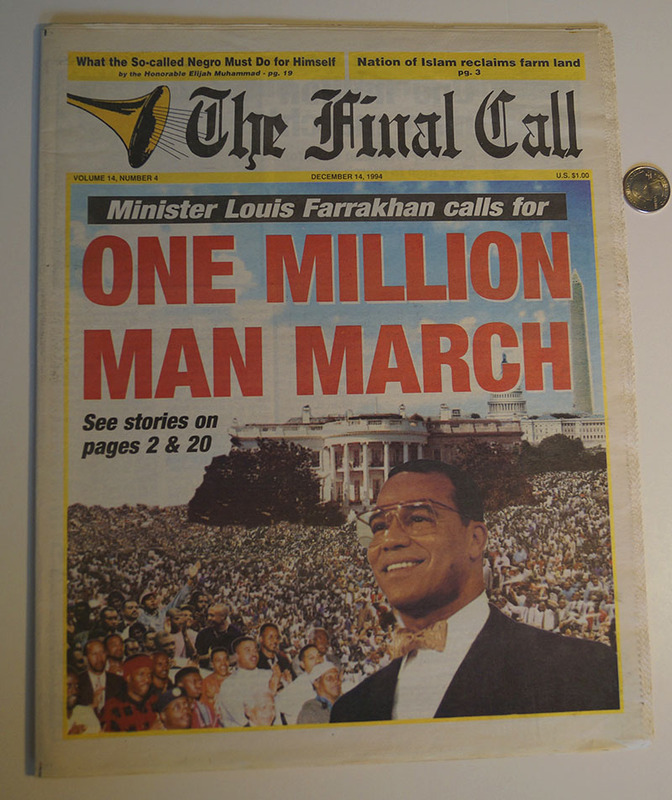 Called by Louis Farrakhan, it was held on and around the National Mall in the city. 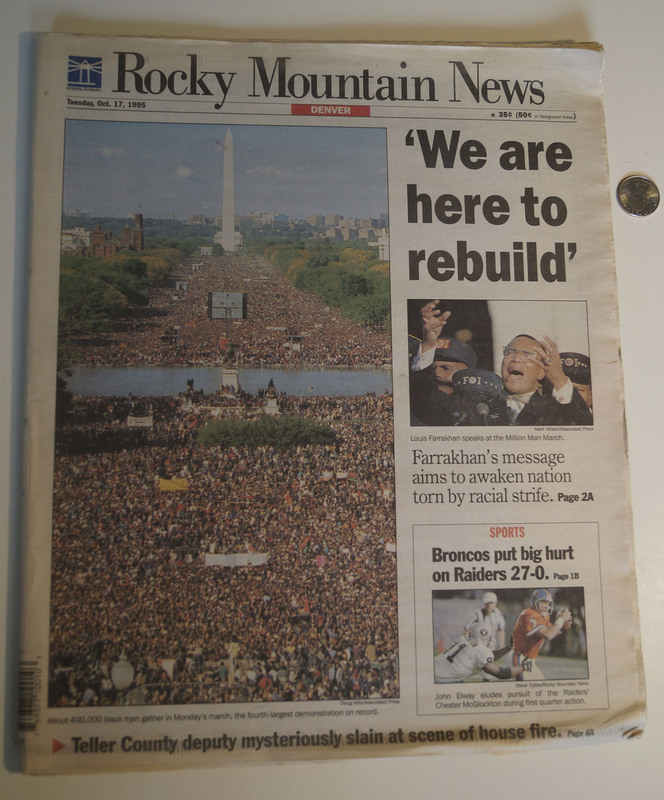 The National African American Leadership Summit, a leading group of civil rights activists and the Nation of Islam working in conjunction with scores of civil rights organizations including many local chapters of the National Association for the Advancement of Colored People (but not the national NAACP) formed the Million Man March Organizing Committee. 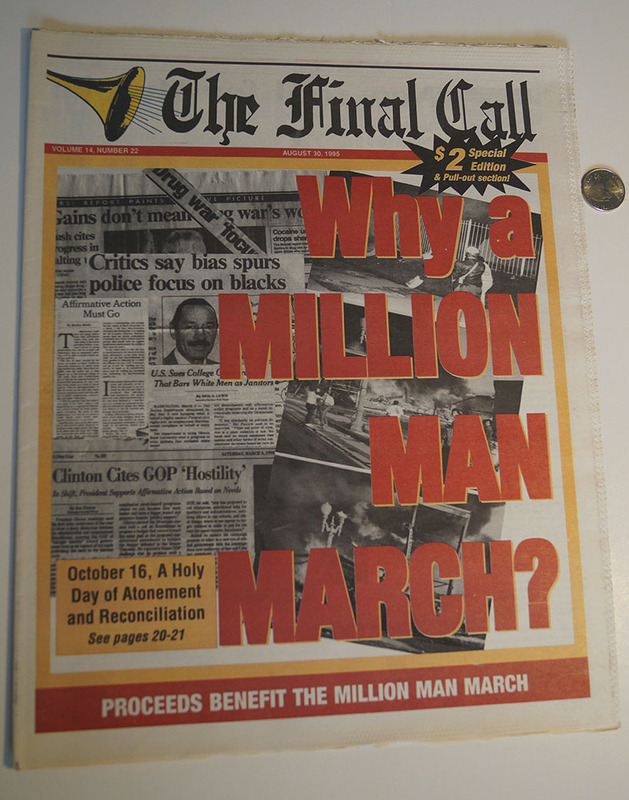 The founder of the National African American Leadership Summit, Dr. Benjamin Chavis, Jr. served as National Director of the Million Man March. 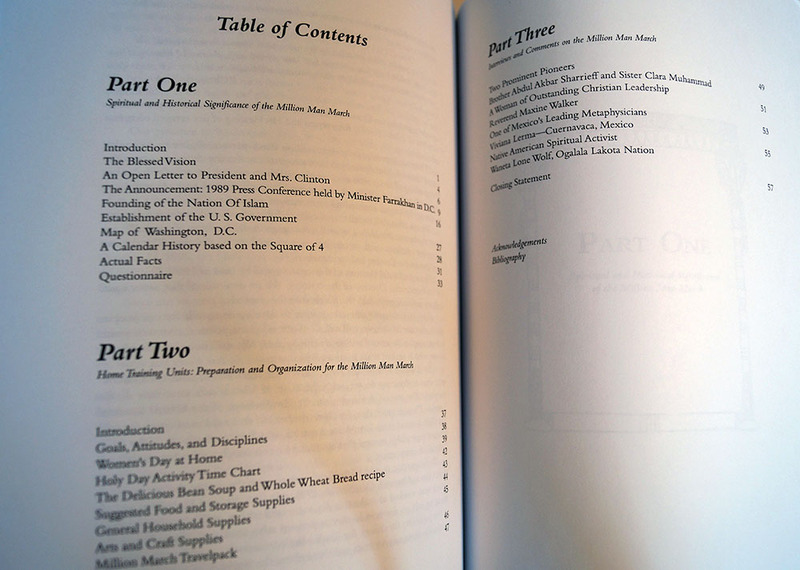 The committee invited many prominent speakers to address the audience, and African American men from across the United States converged on Washington in an effort to “convey to the world a vastly different picture of the Black male” and to unite in self-help and self-defense against economic and social ills plaguing the African American community. 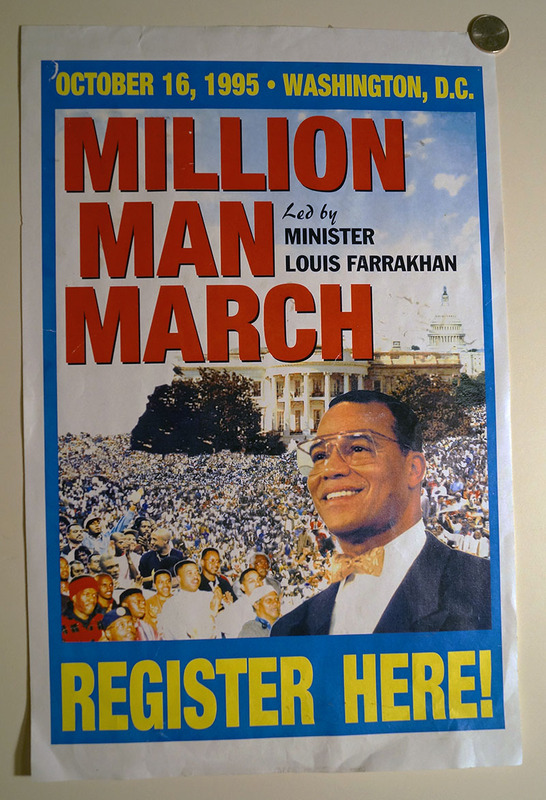 The march took place within the context of a larger grassroots movement that set out to win politicians’ attention for urban and minority issues through widespread voter registration campaigns. 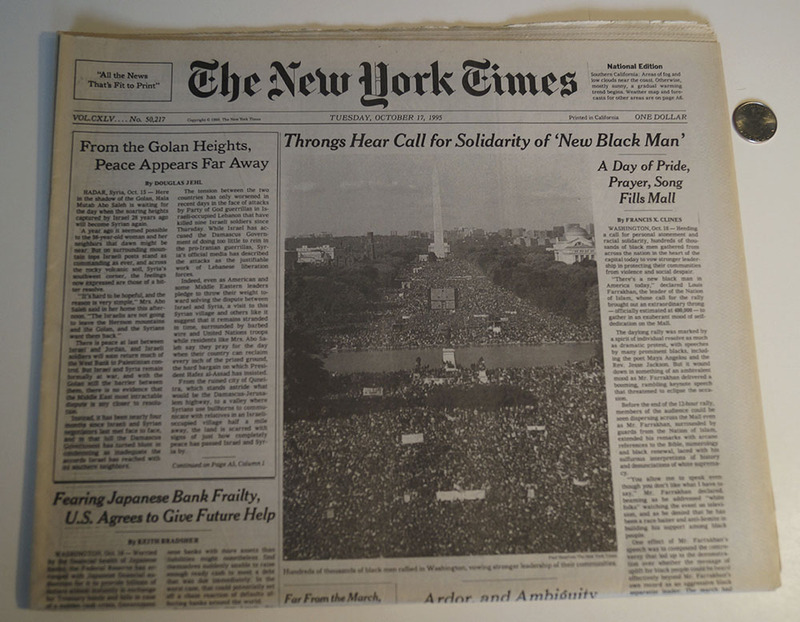 A parallel event called the Day of Absence, organized by female leaders in conjunction with the March leadership, occurred on the same date, and was intended to engage the large population of black Americans who would not be able to attend the demonstration in Washington. 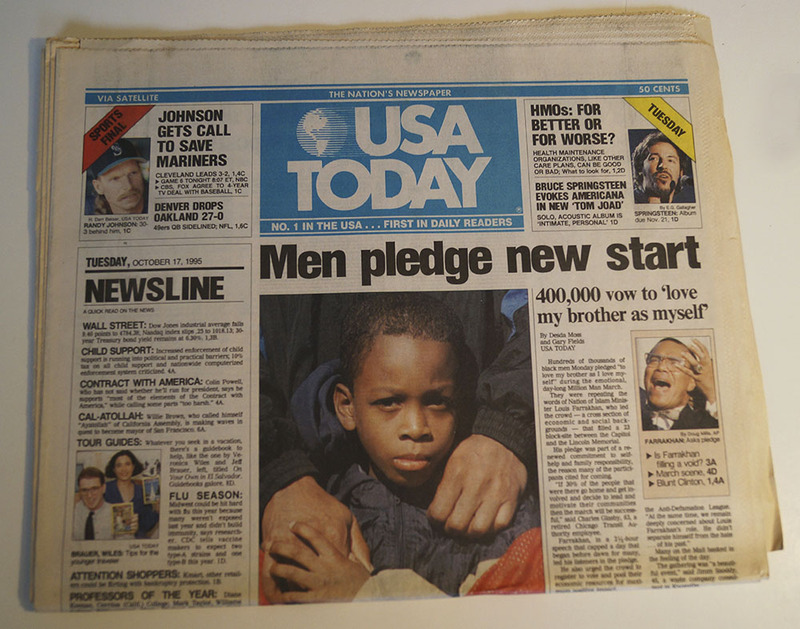 On this date, all blacks were encouraged to stay home from their usual school, work, and social engagements, in favor of attending teach-ins, and worship services, focusing on the struggle for a healthy and self-sufficient black community. 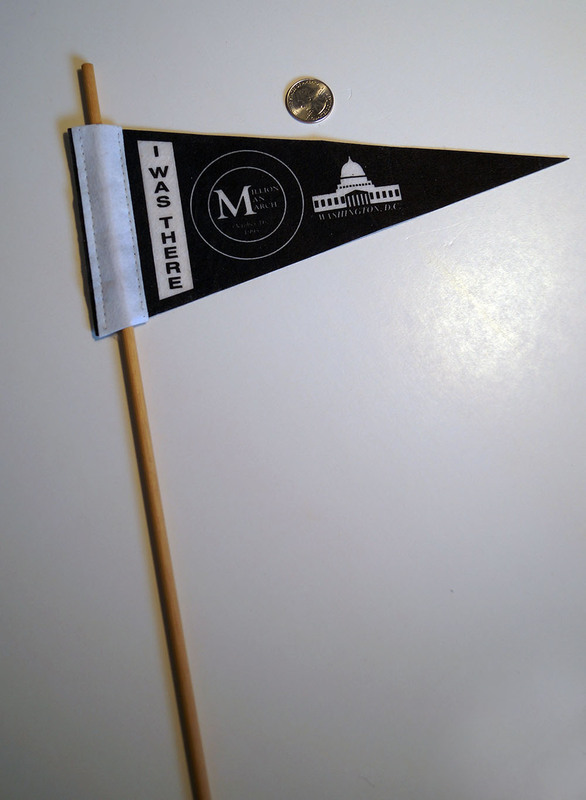 Further, organizers of the Day of Absence hoped to use the occasion to make great headway on their voter registration drive. 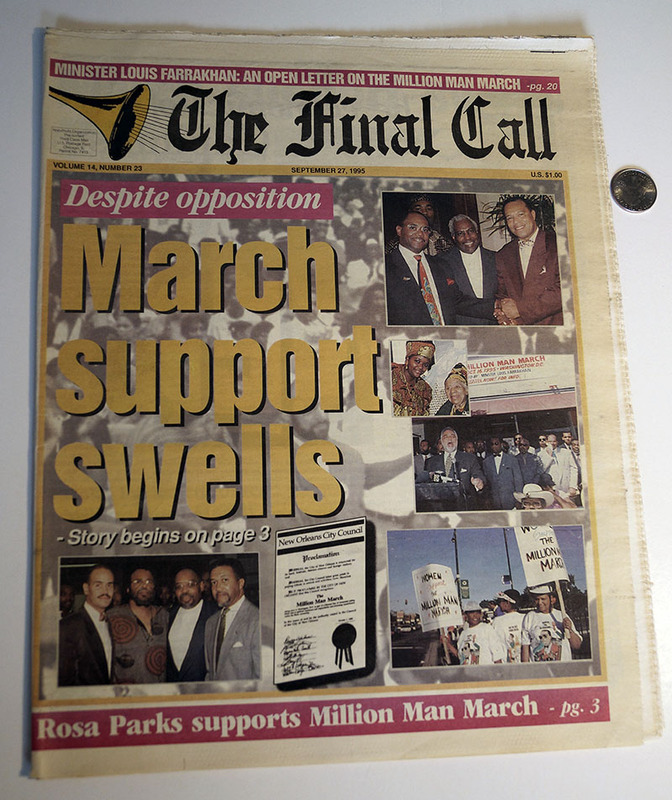 Although the march won support and participation from a number of prominent African American leaders, its legacy is plagued by controversy over several issues. 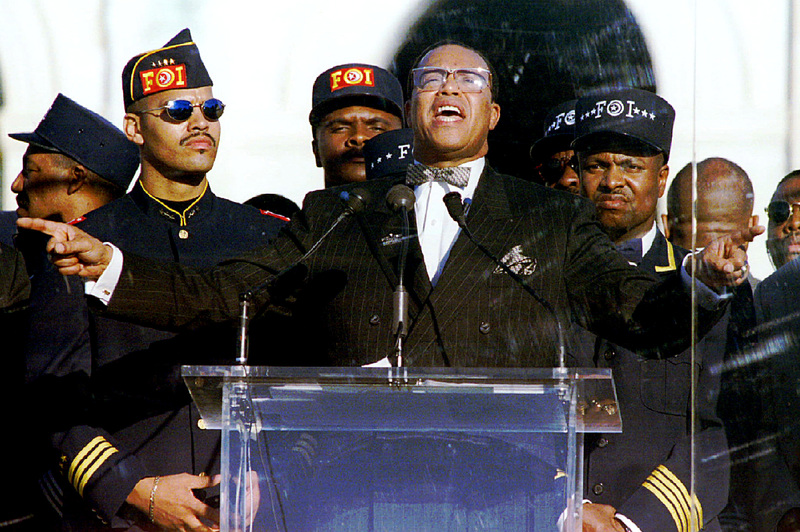 The leader of the march, Louis Farrakhan, is a highly contested figure whose biting commentary on race in America has led some to wonder whether the message of the march can successfully be disentangled from the controversial messenger. 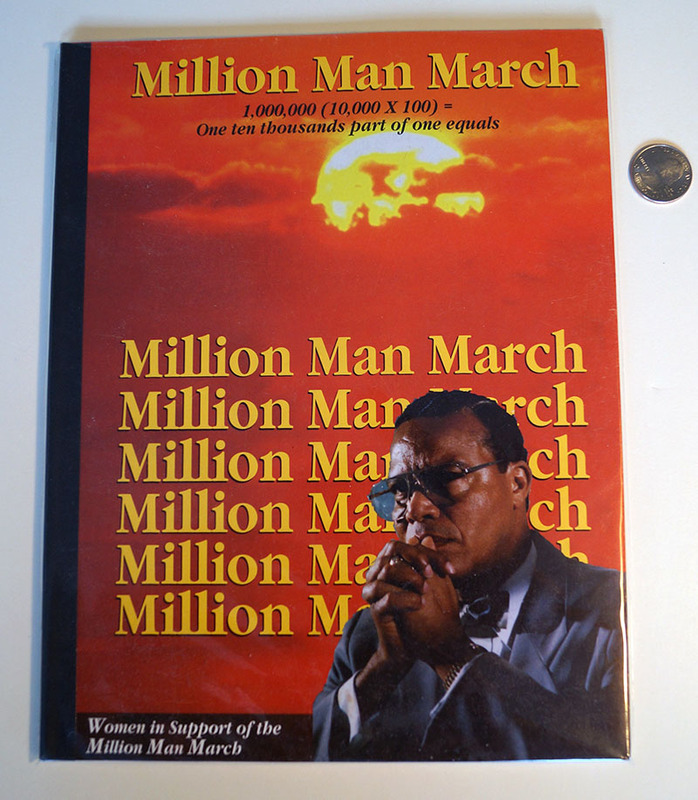 Two years after the march, the Million Woman March was held in response to fears that the Million Man March had focused on black men to the exclusion of black women. 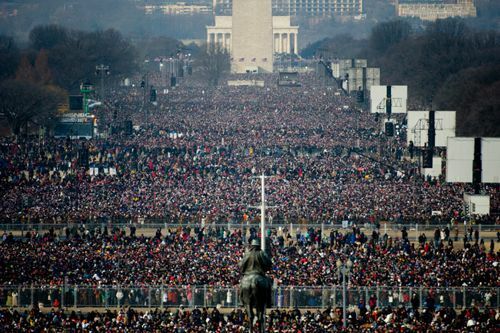 Finally, within the first 24 hours following the March a conflict between March organizers and Park Service officials erupted over crowd size estimates. The National Park Service issued an estimate of about 400,000 attendees, a number significantly lower than March organizers had hoped for. After a heated exchange between leaders of the march and Park Service, ABC-TV funded researchers at Boston University estimated the crowd size to be about 837,000 members.